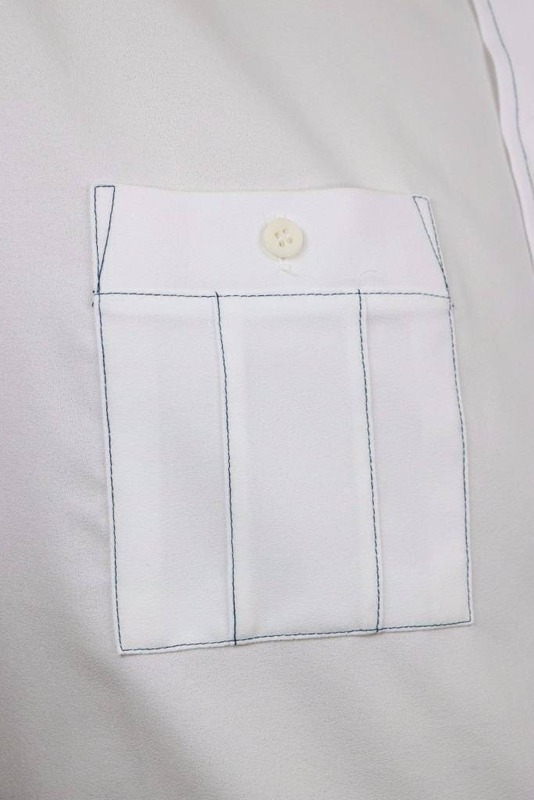 READY TO WEAR VINTAGE - OUR GARMENTS ARE CLEANED BY EXPENSIVE VINTAGE SPECIALISTS, WRAPPED IN TISSUE SO THEY DO NOT WRINKLE. 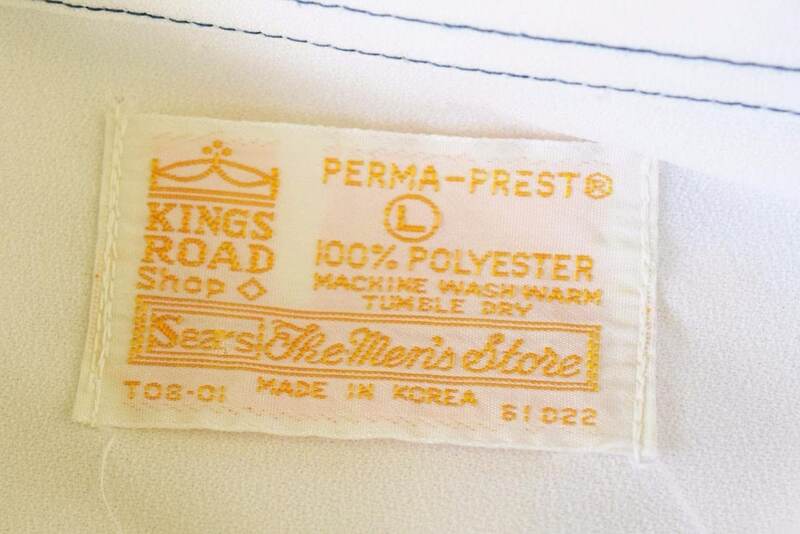 OUR STORE PROVIDES A NEW APPROACH TO THE WAY YOU RECEIVE YOUR COLLECTIBLE VINTAGE GARMENTS. 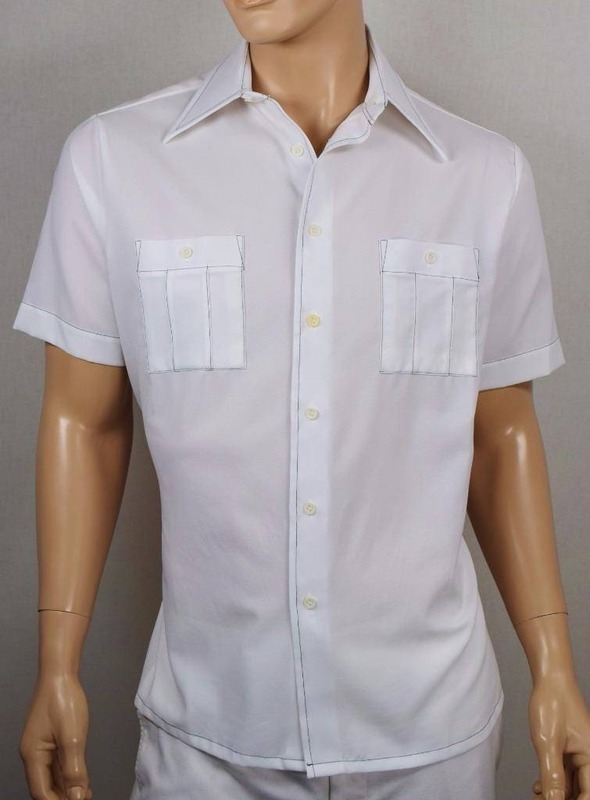 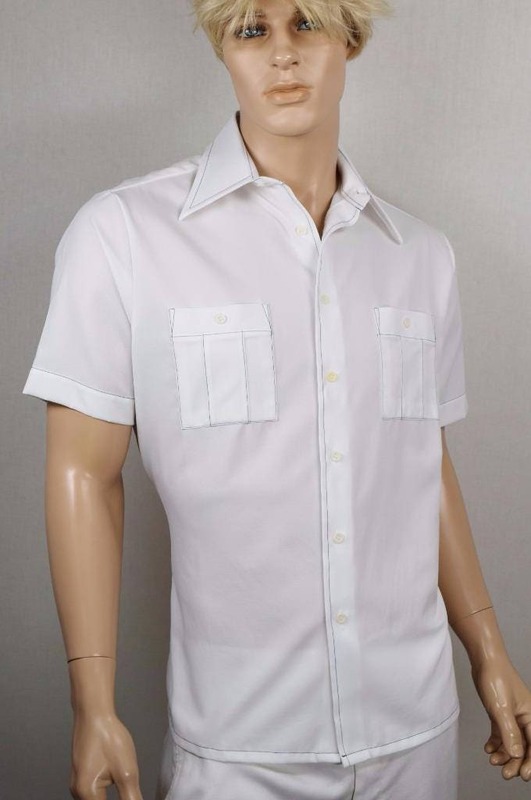 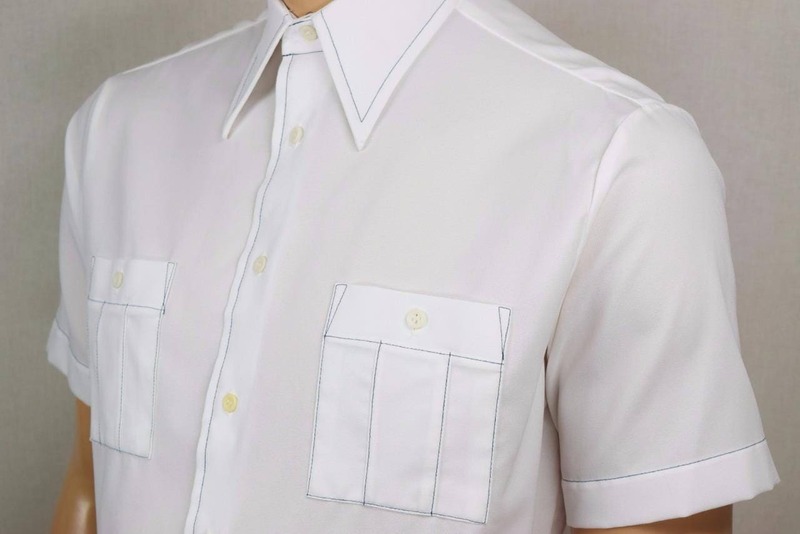 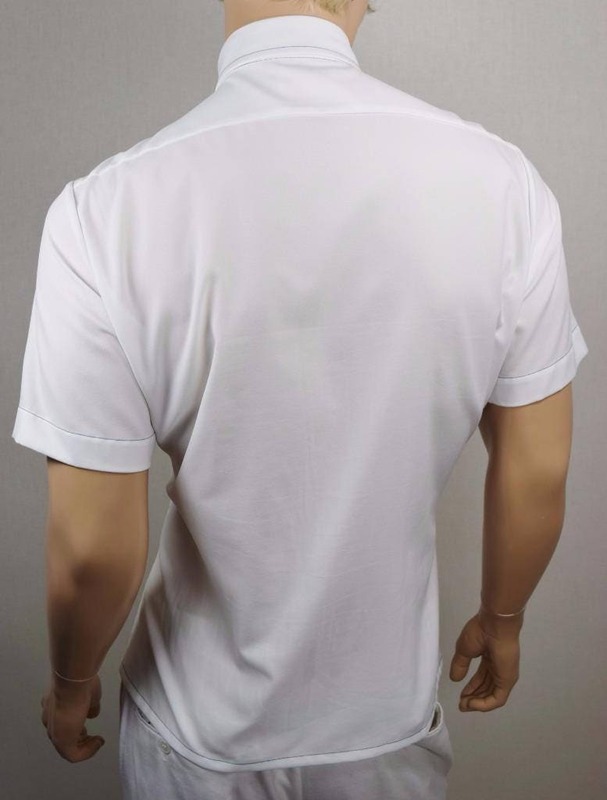 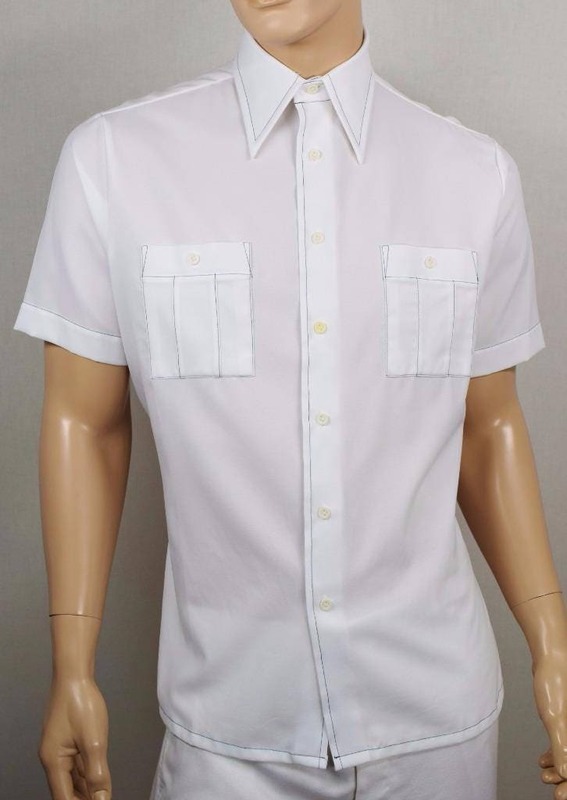 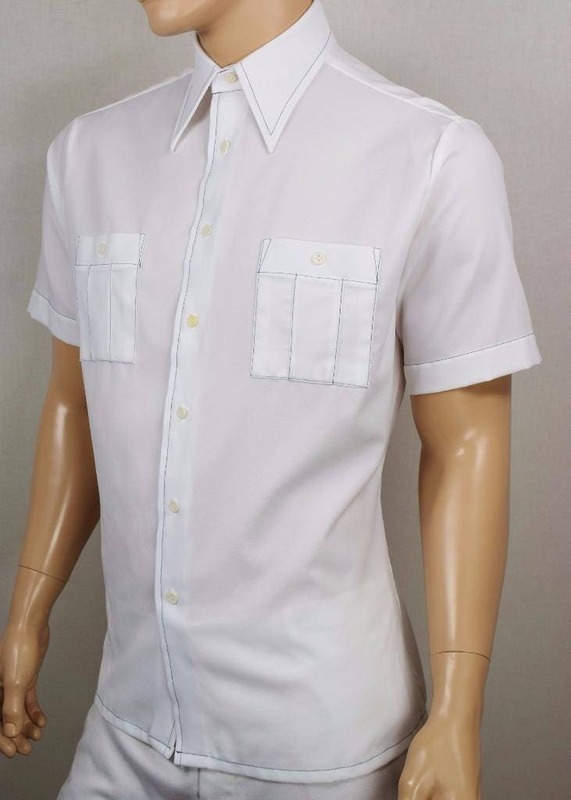 Very cool Whiteshirt with blue stitching. 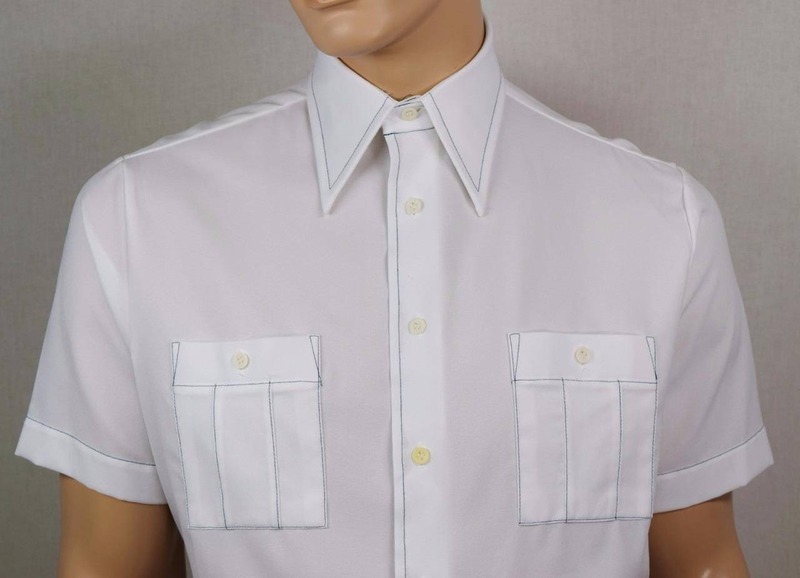 Condition: EXCELLENT Vintage Condition and professionally cleaned by expensive vintage clothing specialists to remove dust and odor.